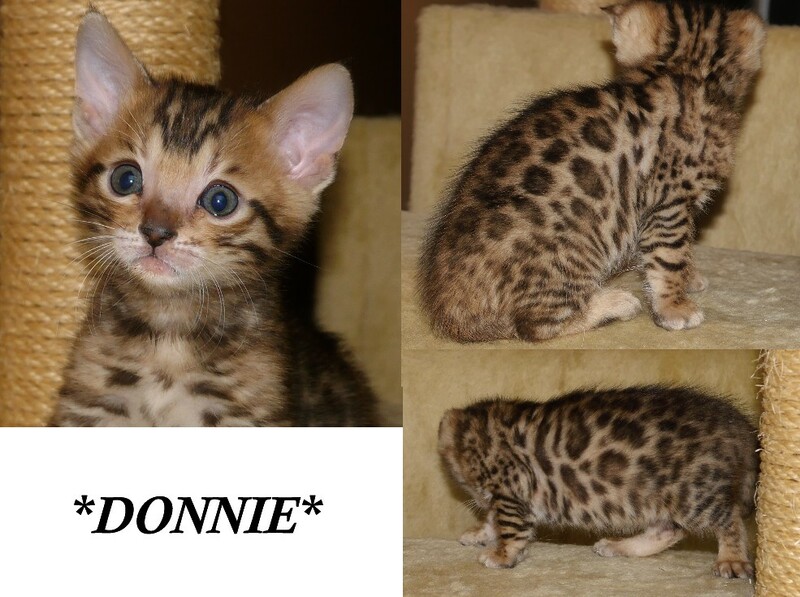 Donnie is a beautiful early generation Bengal Kitten and is now available! Pictured here at 10 weeks of age. SEE CURRENT VIDEO OF DONNIE Donnie is beautifully rosetted with great patterns. He is currently in his baby Bengal fuzzies which camouflages the coat a bit. This will begin to clear very soon. Donnie has an incredibly loving personality and his Bengal purr is just non stop! 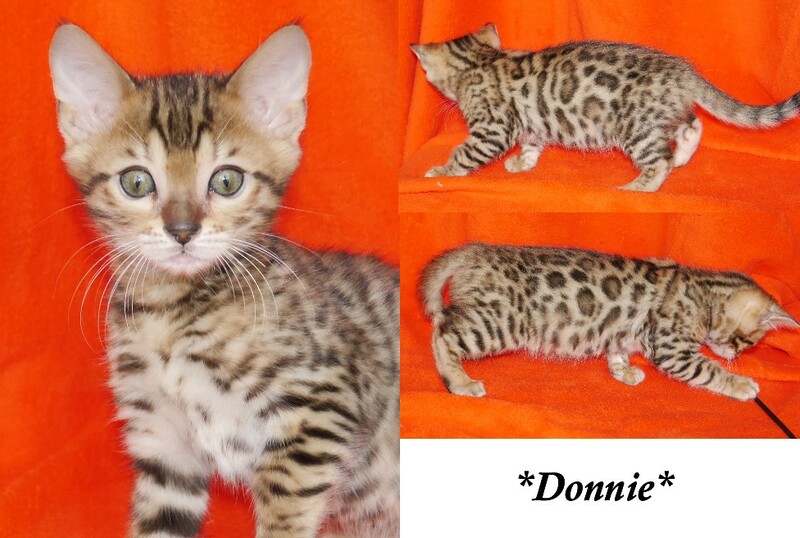 Pictured here at 6 weeks of age, Donnie is a brown rosetted Bengal, full of fun and wonderment. Just look at him play. This entry was posted in Bengal Kitten Gallery, Gallery and tagged Bengal kitten, brown rosetted, Early Generation Bengals. Bookmark the permalink.